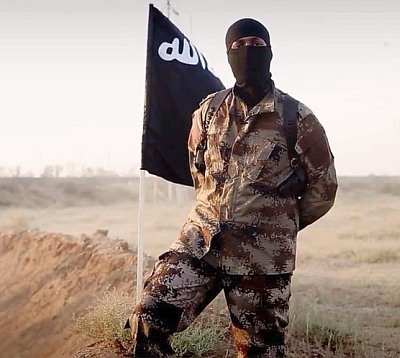 Warning that India is not immune to the threat from Islamic State, the United Arab Emirates, which has deported about a dozen Indians with suspected links to the terror group, on Monday said that its anti-terror cooperation with India is going to get "more institutionalised". "There are no grey areas. We need to tackle this (ISIS) threat and nobody is immune. If you think you are immune (and) you are going to be negligent, you are going to be hit. Everybody.... whether India or the UAE," Dr Anwar Mohammed Gargash, UAE's Minister of State for Foreign Affairs said in Abu Dhabi. Ahead of the UAE Crown Prince Sheikh Mohamed bin Zayad Al Nahayan's three day visit to India starting Wednesday, Gargash told NDTV in an interview that strengthening bilateral cooperation against terrorism would be an important component of the royal visit. Bilateral cooperation on terror was "working very well" and in the coming 12 months "it will be more institutionalised and work even better," he said in the backdrop of the Gulf nation having deported to India a dozen Indians with suspected links to ISIS in recent months. Such cooperation was an important part of Prime Minister Narendra Modi's discussions with the UAE leadership during his visit in August, Gargash said. Underlining the threat posed by ISIS, the minister said, "no country was immune, no city is immune... We need greater cooperation and zero tolerance for any sort of extremism, terrorism in order to confront this threat." Asserting that there should be no distinction between one terror group and another, the minister said that there are no good terrorists and bad terrorists. The battle against terrorism was a "generational fight and the UAE is a worthy partner in this fight." Answering a question about the joint statement issued after Modi's visit in which India and the UAE condemned efforts by some states to use religion to support and justify terrorism, which was seen as a veiled reference to Pakistan, Gargash his country doesn't see "grey areas" in relation to terrorism. "In our rejection of terrorism, whether that is done by a non-government group or whether it is sponsored by governments, we put all that in the same pile. Terrorism is terrorism," he said. Describing Indo-UAE ties as "fantastic", the minister said that Modi's visit could see a "window of strategic shift" in the relationship. Modi was a very practical person and everybody was impressed with his 'can-do' attitude. "This is what we want to build on." He underlined the commitment of the UAE, whose current investments in India are about $10 billion, to step up the investments, particularly in the infrastructure. Turning to problems faced by investors in India, Gargash said "we need to work together to cut some of the red tape, make things smoother." "I want to see clearer laws, smoother implementation, greater reception of foreign investments, not just UAE investment but foreign investment in general," he said. There was a huge potential in bilateral economic ties but that has to be "unlocked".